Are you, or do you know, a promising middle school or high school aged cross country athlete that would enjoy and benefit from participating in the Without Limits Youth Cross Country Camp this summer? 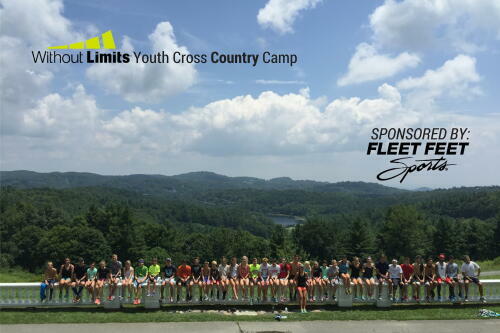 Well, Fleet Feet Sports and a generous donor have partnered with Without Limits to offer two lucky, youth athletes the opportunity to go to the camp free of charge! Much like Fleet Feet strives to be more than just a running store through supporting our community, we are looking for an athlete that not only excels out on the cross country course, but in the classroom and in community. To enter or nominate an athlete, please fill out the information below and include why you, or the athlete you are nominating, would benefit from this experience. Make sure to not just include what makes them a spectacular athlete, but what makes them a leader in the classroom and in our community. On June 1st we will choose two lucky cross-country runners who we feel embodies the passion, drive, determination, and values that define a Fleet Feet and Without Limits athlete and award them a scholarship entry into the Without Limits Youth Cross Country Camp being held from July 16-21 in the beautiful North Carolina mountains. For more information about the Without Limits Youth Cross Country Camp, click here. What makes you, or the athlete you are nominating, a good candidate for this scholarship?